Gothic novels tell terrifying stories of patriarchal societies that thrive on the oppression or even outright sacrifice of women and others. Donna Heiland’s Gothic and Gender offers a historically informed theoretical introduction to key gothic narratives from a feminist perspective. A Coda provides an overview of scholarship on the gothic, showing how gothic gradually became a major focus for literary critics, and paying particular attention to the feminist reinvigoration of gothic studies that began in the 1970s and continues today. 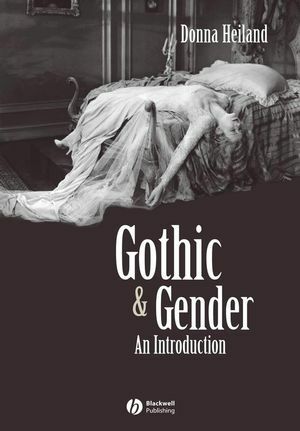 Taken as a whole the book offers a stimulating survey of the representation of gender in the gothic, suitable for both students and readers of gothic literature. Donna Heiland is Director of Fellowship Programs at the American Council of Learned Societies and was Associate Professor of English at Vassar College. 1 Patriarchal Narratives in the Work of Horace Walpole, Clara Reeve, and Sophia Lee. 2 The Aesthetic of the Sublime in the Work of Matthew Lewis, Charlotte Dacre, and Charles Maturin. 3 Rethinking the Sublime in the Novels of Ann Radcliffe. 4 From the Sublime to the Uncanny: Godwin and Wollstonecraft. 5 Uncanny Monsters in the Work of Mary Shelley, John Polidori, and James Malcolm Rymer. 6 Confronting the Uncanny in the Brontës. 7 The “Unhomely” Nation of Gothic Narratives: Charlotte Smith, Charles Brockden Brown, and Matthew Lewis. 8 Feminist, Postmodern, Postcolonial: Margaret Atwood and Ann-Marie Macdonald Respond to the Gothic. Coda: Criticism of the Gothic.